Temika Murry is a senior supervising attorney with the DeKalb County Child Advocacy Center. She has worked as a child advocate attorney since the agency’s inception in 2003. Prior to working as a child advocate, Ms. Murry completed a public interest fellowship through Washington, D.C.- based Equal Justice Works (EJW). As an EJW Fellow, Ms. Murry served as a legal advocate with Atlanta-based non-profit, Forever Family (formerly known as Aid to Children of Imprisoned Mothers, Inc. – AIM). A graduate of the University of Georgia School of Law, Ms. Murry also holds an undergraduate degree in Business Administration (BBA) from Emory University’s Goizueta Business School and a Master of Business Administration (MBA) degree from the University of Notre Dame’s Mendoza College of Business. Temika is a member of the Georgia Association of Counsel for Children (GACC), and a certified Child Welfare Legal Specialist through the National Association of Counsel for Children (NACC). 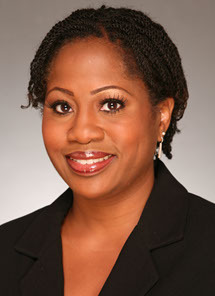 She is also a member of the Georgia Association of Black Women Attorneys (GABWA) and the Georgia Association for Women Lawyers (GAWL). Temika is a past president (2010-2011) of the DeKalb Lawyers Association and a 2016 inaugural graduate of the DeKalb County Bright Futures Emerging Executives Leadership Program certified by the University of Georgia’s Carl Vinson Institute of Government. Temika is committed to being a voice for children in the juvenile court dependency process and is dedicated to protecting both the legal and best interest of child-clients. She is married to fellow attorney, Dorian Murry, and they are the proud parents of two amazing little girls.